The church hall was quiet on the afternoon of Sept. 28 as St. John the Evangelist School’s students waited to see the name of their school listed as a Blue Ribbon School. Then the moment their school’s name and a photo of children holding hands around the Peace Pole appeared on the Department of Education broadcast, the room erupted in cheers, applause and whistles. Teachers and upper grade students popped confetti poppers and all the children received blue balloons and Rita’s blue Italian ice. 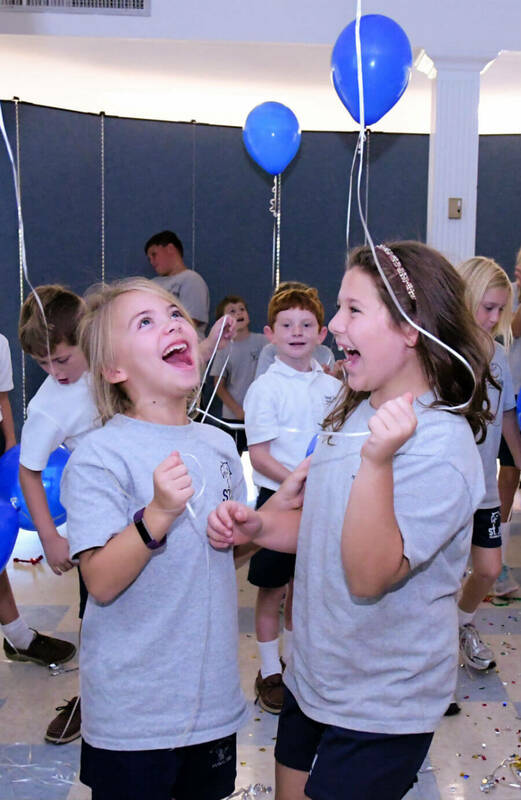 St. John the Evangelist School students Riley Nemphos, left, and Nola Schwartz, celebrate the announcement that the Hydes school received National Blue Ribbon School designation Sept. 28. (Kevin J. The Hydes school was one of four Archdiocese of Baltimore schools and one of 13 Maryland schools named as an Exemplary High Performing School for 2017, according to a U.S. Department of Education press release. “You have accomplished a lot academically as well as being good neighbors,” their principal, Christine Blake, told her 169 students. She thanked them, their teachers, parents and Monsignor Richard Cramblitt, St. John’s pastor. 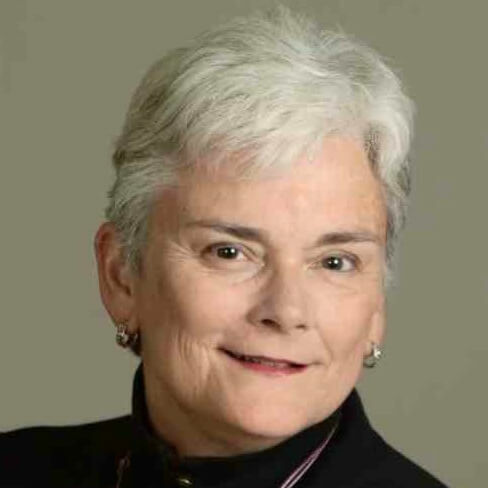 “I’m honored that we were recognized because our philosophy is that all children should have an opportunity to have a Catholic education,” Blake said after the celebration. She noted that the process took three years to complete. St. John’s student-centered learning which gives children various ways to master their studies is a major reason for the award, according to Blake. Its small size, with one homeroom for each grade, gives the school a close, tight-knit feeling. “All the teachers know all the students,” Blake said. ouping so children can get extra help when they need it. Children ready for the next challenge will find it at St. John’s, Blake said. Several excellent writers were asked to participate in writing competitions — and two won regional contests. Middle school students collaborate in their studies rather than relying on rote memorization. “They’re becoming thinkers. They’re asking questions. They’re creating. They’re listening to one another,” she said. Blake said she has also upgraded the school’s technology since her appointment as principal six years ago. She applied for and won Knott Foundation grants to put Microsoft Surface tablets in the hands of all middle school students. Grades 3-5 have carts stocked with Google Chromebooks and iPads stations were given to grades K, 1 and 2. Blake noted that primary grades’ reading program offers iPad exercises tailored to students at every level. Vocabulary and comprehension questions are available for various type of learner, she explained. The variety of technology has an added bonus. “We’re teaching them how technology fits in their lives,” Blake said. “St. John’s School has a long tradition of academic excellence and the Blue Ribbon Award is simply a public recognition of the nature of this school,” Monsignor Cramblitt told the Catholic Review. He expressed his pride in the students, the teachers and strides in technology and the science curriculum. “We’re especially proud of our principal, Christine Blake, who has been a superb leader of our school. It’s a great honor to be named—but we always knew it was a Blue Ribbon School,” Monsignor Cramblitt said. To see more photos, visit our Smugmug gallery here.